SLS106: Podcast RSS Feeds, Why Should You Care? Is a specially formatted URL ... See More linked XML text file that is kept updated by your publishing platform with the latest episodes and is the foundation of being a “Podcast”. If you don’t have an RSS feed for your show then you don’t have the ability to take advantage of podcasting distribution to places like iTunes, iOS Podcasts App, Stitcher, TuneIn and many other podcatcher listening apps like Overcast and many others that use the Apple iTunes Podcast Catalog of 350,000 podcast feeds. 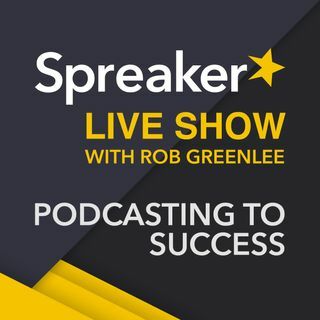 Spreaker does not require you to use an RSS feed to build your audience, because we have millions of potential listeners using Spreaker apps, web players and website to listen to shows, but I recommend that you try to grow your potential audience by submitting to all the other listening platforms. When your podcast RSS feed is on the same server as your website, you risk hindering your podcast downloads when your website has problems. If you're featured somewhere and 1,000 people try to load your site at the same time, it could crash your website and bring your RSS feed with it. RSS feeds require lot’s of bandwidth to server for popular shows. This is oftentimes a surprise to most and thus it is wise to impose your own limit that the feed be below 512 KB, which is typically around 100 to 200 episodes depending on how long your show descriptions are. Many apps download that feed file every time their app checks for new episodes. Now, consider the bandwidth needs to serve even a 512 KB file (1/2 of a megabyte). Whenever a podcast app checks for a new episode, it downloads that entire RSS feed in a single file. If you have 1,000 subscribers, that could be 500 megabytes (MB) of bandwidth for them all to check your feed. But most podcast apps will check for new episodes multiple times per day—as often as once per hour as a background task. You are talking large numbers of GB to just serve the RSS feed for even a moderately popular show. If your feed was bigger, or you had more subscribers you better be on a podcast hosting platform that knows how to manage that much demand. Is the most-common reason for generating and hosting your podcast feed away from your website content management system, like WordPress. Some themes, plugins, or buried website options can break your RSS feed. Breaking your feed can happen by adding invalid characters to your feed in the textual input areas. chances of breaking your feed are generally low though to be fair. If you host your website and podcast feed on a shared hosting provider, ask around about this with your cheap hosting provider as getting on a shared server with other websites can impact your site performance. • All this month, we’re asking you to tell a friend about a podcast they’ll love. • Right now, think of a friend, your mom, anyone you care about – what podcast would they really love. • Got it? Now do it – tell them about it in real life or on social media, and if they don’t know about podcasts, show them how! • Tell us what you recommended with the hashtag tripod. T, R, Y, pod. Thanks for spreading the word. • Tell a friend about a podcast you think they’ll love. • Right now, think of someone you care about – what podcast would they really love? • Got it? Now do it – tell them about it in real life or on social media, and if they don’t know how to listen, show them how! • Some people still don’t “get” podcasts – why they are special and how to listen. • You can help change that with a click. • Got it? Now do it – hit the share button on the bottom left of your screen. • If they don’t know how to listen, offer to show them how! • Tell us what you shared with the hashtag tripod. T, R, Y, pod. Thanks for spreading the word. I do like promoting other people. Soon as the show is over, will send it via your "E". Send me your RSS feed and I can submit it to iTunes for you through Spreaker Network account in iTunes. Would you like to do that? I just need to send him the channel art I created. I have a dumb-phone. *LOL*! Maybe I get my comedy partner to try it on his smart-phone. :smile: Thanks. Do it on your phone then or try to create a new account. I was on the telephone with them with different support people several times over the two weeks. They think it has something to do with my computer. I could not get my Apple I.D. to work, so never went the i-Tunes route. I had someone trying to help me over the telephone over a course of two weeks, but we could not get it to work. Are you linking to your show on iTunes on your website? I have one GoDaddy site that has 11 embedded show players, but does not have much else on it. I have a Wix site where they can access individual episodes through buttons next to the description and episode picture. Linda, When do you sleep??? Amazing! I have three Twitter accounts, three Facebook pages, SoundCloud and VitBitFuture, which I keep updated daily. Great! You are using all the main tools to get people listening to your show! I use RSS/embed on my web site(s). Thank you for listening to the show LIVE today!